From the Star Wars Solo collection by Funko. Star Wars Solo Lando Calrissian Wobbler Bobble Head. From the Star Wars Solo collection by Funko. 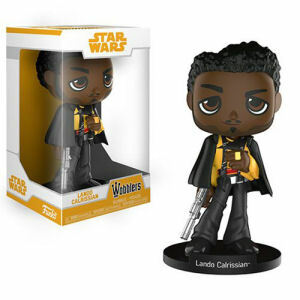 Star Wars Solo Lando Calrissian Wobbler Bobble Head.This Wacky Wobbler Bobble Head measures 6.5 Inches tall.